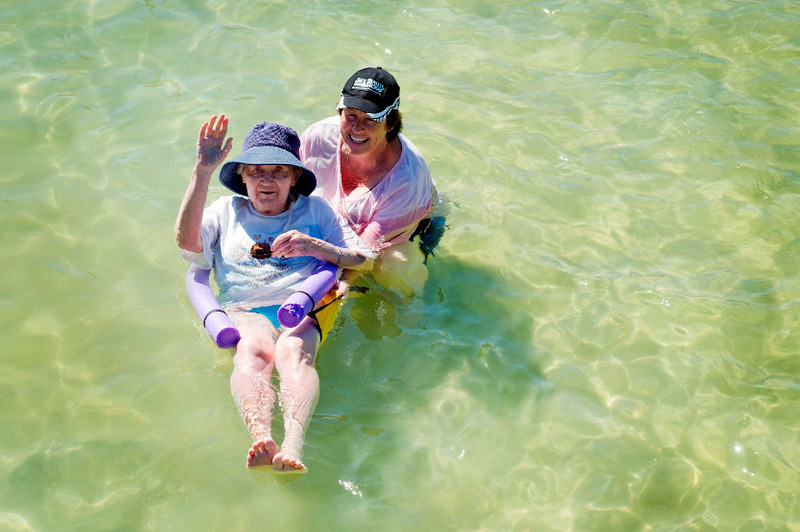 Amana Living offers a wide range of accommodation styles and services 13 Nursing Homes across Western Australia. 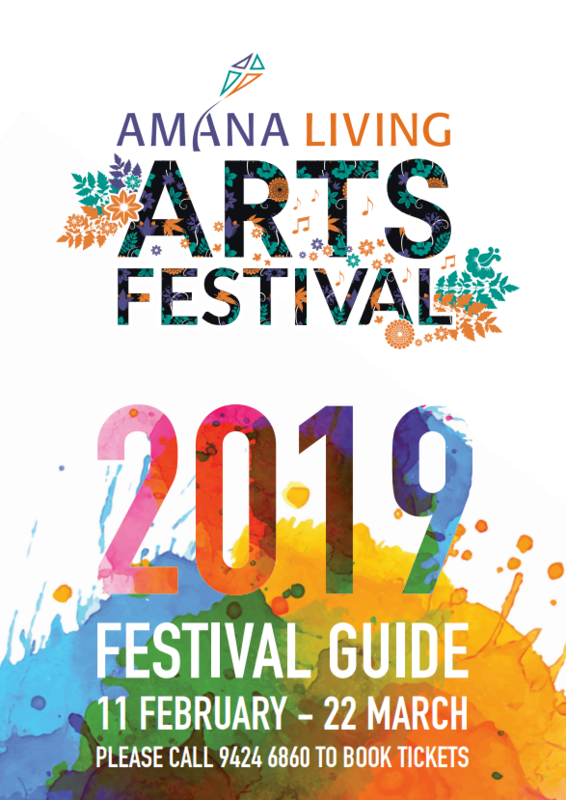 Amana Living nursing homes provide permanent accommodation and 24-hour care and services for those who are no longer able to live in their own home. 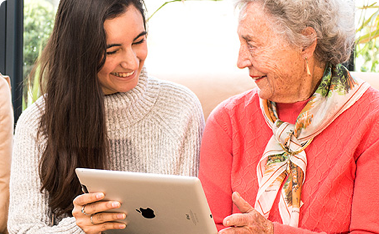 Our approach is to focus on the individual, understanding that the people we serve have enjoyed long and rich lives, and that they each have their own unique needs and preferences. We believe in finding out what makes people tick so that they can continue to live life to the full. This means paying close attention to the emotional, psychological and social aspects of a person’s life, as well as providing top quality clinical and personal care round the clock. What is it like living at an Amana Living Nursing Home? 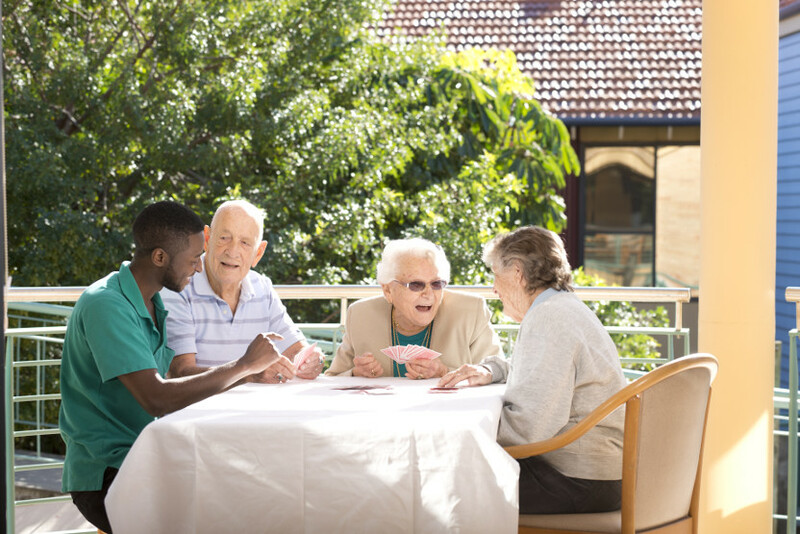 Our residents are encouraged to maintain as much independence as possible, to be involved in decision-making regarding the care and services they require, and to maintain connections with others. In this video our General Manager of Residential Care, Zenith Zeeman, describes what it means to move into permanent care at Amana Living. Are you eligible to live in a Nursing Home? To find out if you are contact your GP who will arrange an assessment for you by an Aged Care Assessment Team (ACAT). 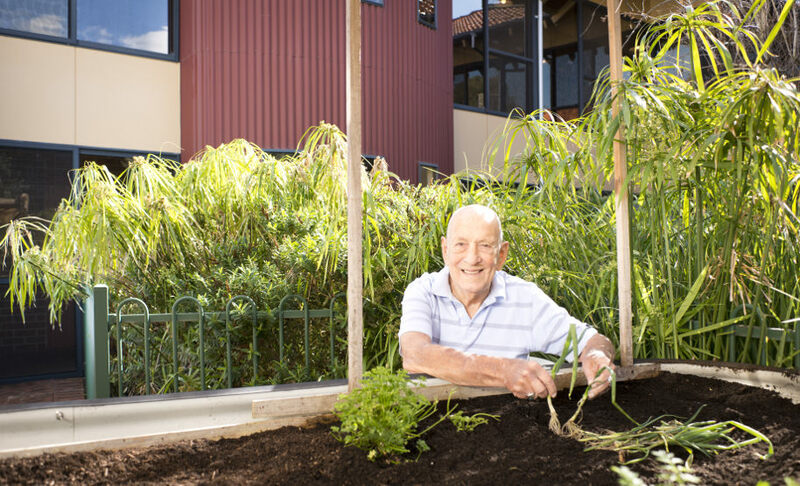 Amana Living has 12 residential care centres in Perth and one in Kalgoorlie offering a range of accommodation styles and services. Our care centres offer some of the most spacious rooms in the industry, most with private ensuites, and many with private lounge rooms and kitchenettes. 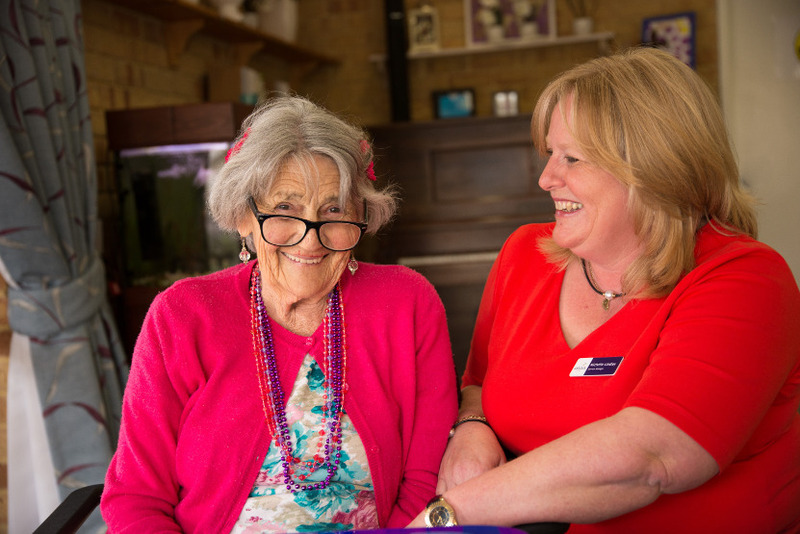 We can accommodate a wide range of mobility, care needs and levels of independence. 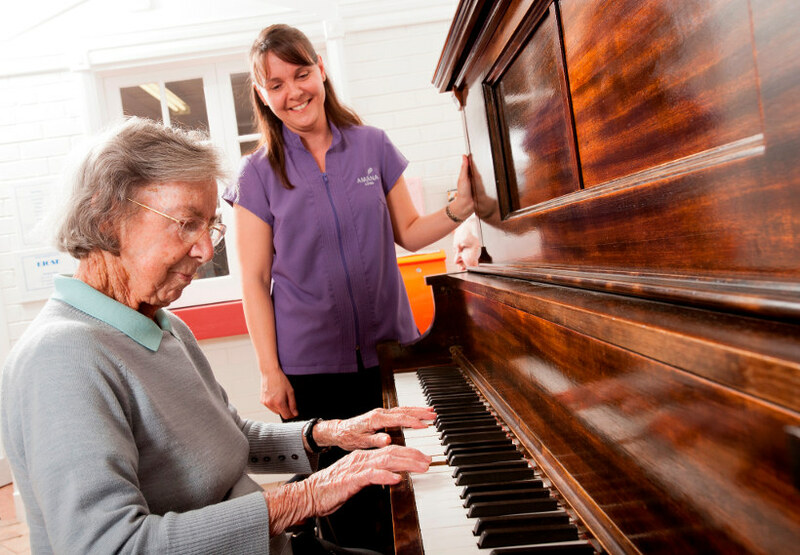 Each of our care centres is unique in some way, and it’s important to choose the one that’s right for you. The hotel and care services listed below are provided at all our centres. Care centre pricing involves accommodation plus variable elements such as extra support services and means-tested government subsidies, calculating price can be a bit complicated. Use the provided explanations and pricing calculators to help you work out what your fees are likely to be, however if you need further assistance please contact our Customer Service Centre on 1300 26 26 26 and one or our experienced team members will be happy help you. This covers living costs such as meals, power and laundry. This fee is set by the government and is 85% of the full pension. For some people this is the only fee they are required to pay. This is an additional contribution towards the cost of care that some people may be required to pay. This fee is determined by the Department of Human Services (Centrelink), and is based on the amount of income and assets of the resident. 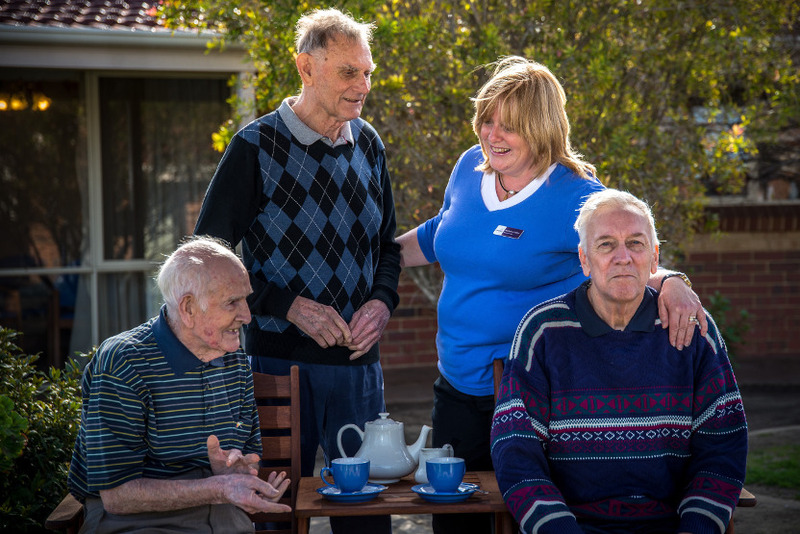 Each person entering a care centre must complete the Centrelink form SA454.1407 “Permanent Residential Aged Care Request for a Combined Asset and Income Assessment” to have their means-tested care fee determined by Centrelink. This is for your accommodation in the care centre. Some people will have their accommodation costs met in full or part by the Australian Government, while others will need to pay the accommodation payment. The Department of Human Services (Centrelink) will advise you which applies to you based on an assessment of your income and assets. Depending on your financial situation, you may be asked to pay the full Refundable Accommodation Deposit (RAD) or part of that deposit, referred to as a Refundable Accommodation Contribution (RAC). An alternative to paying the RAD or RAC is paying the interest that Amana Living would have otherwise earned on the RAD or RAC. This interest payment is referred to as the Daily Accommodation Payment (DAP) or the Daily Accommodation Contribution (DAC). Another alternative is to pay part of the RAD or RAC and pay the interest on the balance owing as a DAP or DAC. The pricing tab in each of the specific care centre sections of this website has a convenient RAD/DAP calculator to indicate the combinations of RAD/DAP or RAC/DAC that can be paid. If you need help understanding how pricing works or need to find out more, please contact our Customer Service Centre on 1300 26 26 26. Can I talk to someone about Amana Living nursing homes? We welcome phone enquiries. We won’t give you the ‘hard sell’. We’re here to guide you as to the best options for you. 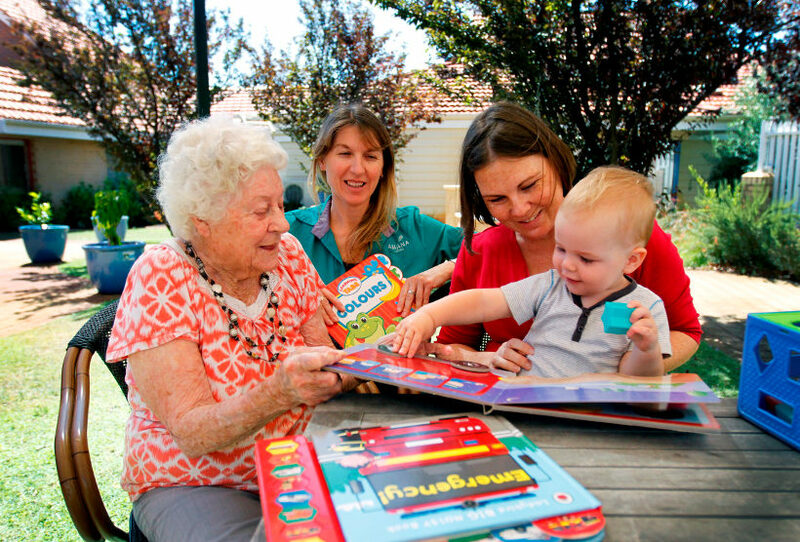 Contact us on 1300 26 26 26 to request a tour of the nursing homes that interest you. There are three components to care centre fees. The ‘basic daily fee’ is set by the Government at 85% of full pension. For some people, this is the only fee they will need to pay. There are also a means-tested care fee and an accommodation payment. These vary according to your ability to pay, which is determined by a Centrelink assessment. Check the pricing tab for the care centres that interest you for more information. How can I find the nursing home that’s right for me? 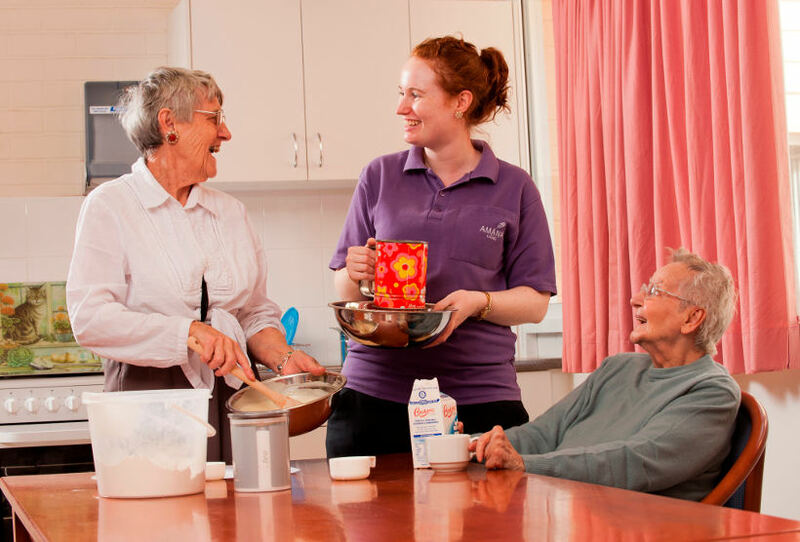 Amana Living has 12 residential nursing homes in Perth and one in Kalgoorlie, offering a variety of accommodation styles and services to suit a wide range of mobility, care needs and levels of independence. In our dementia-specific centres and wings, people living with this challenging disease can receive specialist care in a secure, safe environment. Two of our centres offer extra services, such as wine with evening meals, daily newspapers and magazines, and additional activities (an extra fee is charged for these services)..
Use our interactive map to browse our locations and go to the menu links for further information on each centre. 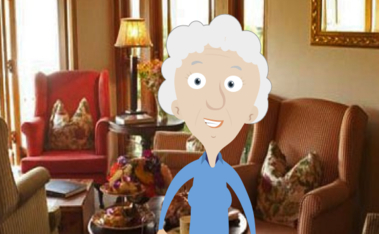 Why would I choose an Amana Living nursing home? 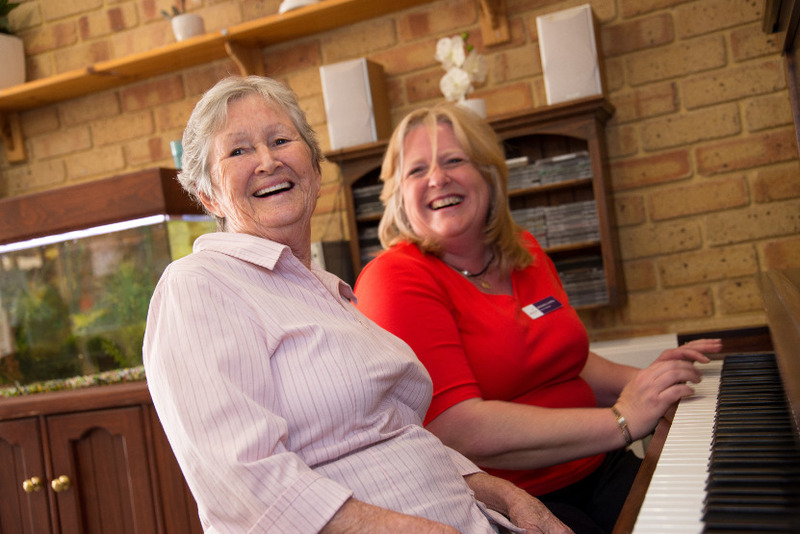 Amana Living has been offering care and services for older Western Australians for over 50 years. Our approach is to focus on the individual, paying close attention to their emotional, psychological and social needs, as well as providing top quality clinical and personal care round the clock. 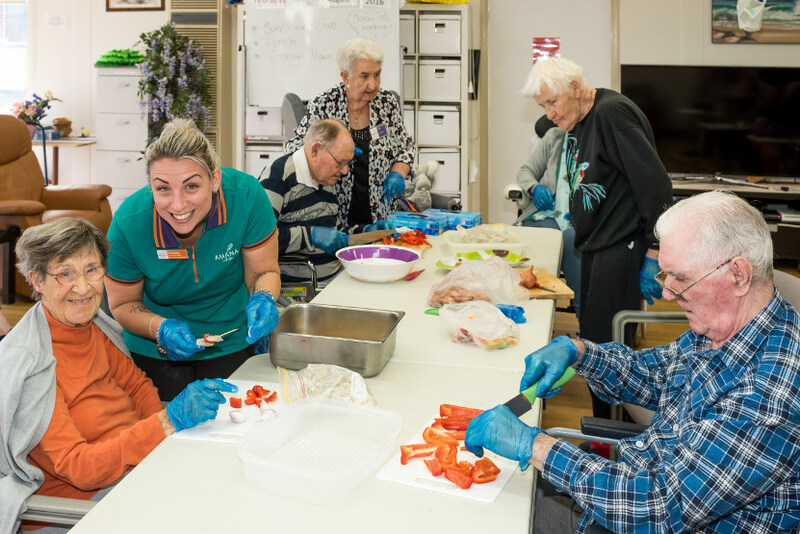 Residents are encouraged to maintain as much independence as possible, to be involved in decision-making regarding the care and services they require, and to maintain connections with others. In addition, our nursing homes offer some of the most spacious rooms in the industry, most with private ensuites, and many with private lounge rooms and kitchenettes. How do I find out if I’m eligible for nursing homes? 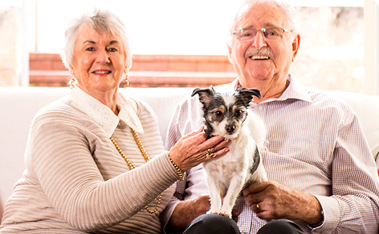 Your first step is to contact your GP who will arrange for you to be assessed by an Aged Care Assessment Team (ACAT). If the assessment states that you have been approved for permanent admission into residential care, you are ready for the next step. Nursing homes provide permanent accommodation and 24-hour care and services for those who are no longer able to live in their own home. 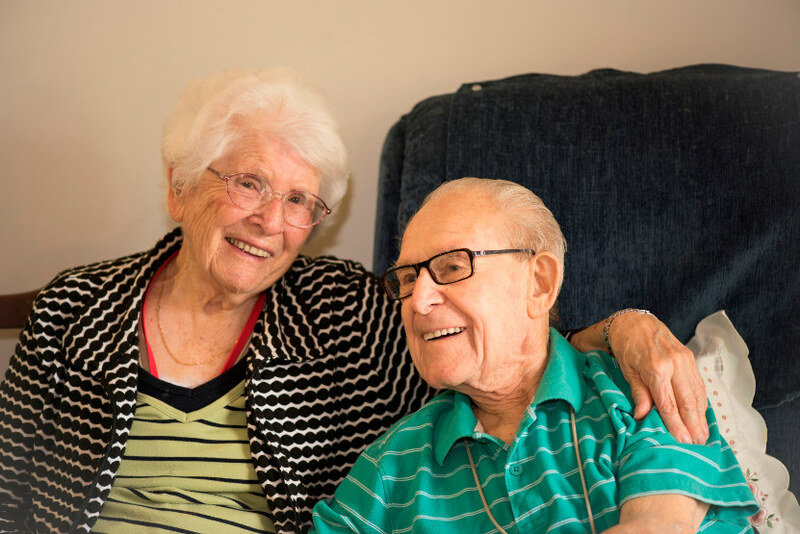 I want to take the opportunity to thank you and Amana Living for the loving care they have provided my husband John and now continue to do for me especially for the wonderful care John has received at the Peter Arney Home. 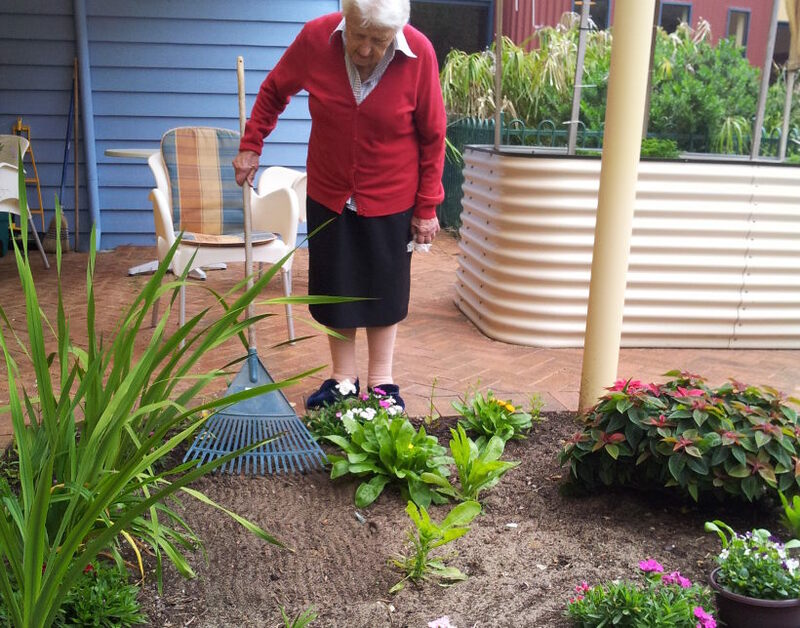 There are many aged care staff who do an excellent job in looking after the elderly and dementia patients, and I am in a position to heap praise on a facility operated by Amana Living called St George’s Care Centre in Bayswater. My much loved wife Pat has been in full time care in this facility for 14 months and I cannot speak highly enough of the attitude of the staff to the people they are caring for. On Thursday Oct 25th I was invited to go on a bus trip with Pat and others, which I accepted. It was a 3-hour trip during which time the bus was full of very happy people. The interaction between the two staff, Rebecca and Janine, and those they were looking after was inspiring. I was concerned that Pat would not be able enjoy the trip, but I was very wrong – we had a great time. When I visit Pat she does not always recognise my face, but when the staff come over and say hello to her, she comes up with a lovely smile. This of great comfort to me in that I know there is a bonding between them. I thank them all. For further assistance please contact our Customer Service Centre and one of our experienced aged care experts will be happy to help you. Alternatively, please click below to print our nursing home application form. Complete all pages and return along with the documents listed on the form. If you need any assistance to complete the paperwork or it raises any questions please do not hesitate to contact us.